1.Great for Both Professional Nail Specialist or Nail Art Learner. 2.It Make Your Nails Look Elegant and Special. 3.Compatible with Both Natural and Artificial Nails and Easy to Apply. 4.Also could be Used to Decorate Your Home, Cell Phone Case, Invitation Card, Body Art etc. 5.Can be used with nail polish, UV gel or acrylic nail, etc. 1.Clean the surface of your nails, brush and base polish. 2.Due to the different camera model,light and display, Image color may be different with the actual look. It Make Your Nails Look Elegant and Special. 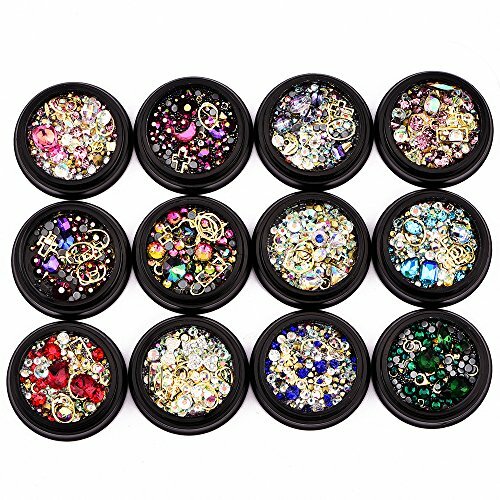 Mixed sizes and colors of the bead will satisfy all your choice of your nail art. If you have any questions about this product by Bluezoo, contact us by completing and submitting the form below. If you are looking for a specif part number, please include it with your message.